UPDATE: As of Wednesday, August 24, 2016, no jellyfish have appeared on the beaches of Cape Canaveral or Cocoa Beach during the second half of August. COCOA BEACH, Florida - After two weeks of extensive surveying by Brevard Times of the entire stretch of the beach from Coconut's on the Beach (Minuteman Causeway) to Jetty Park (Port Canaveral), no more Box Jellyfish have been sighted since the last week of July 2016. The only jellyfish-like species found during the first half of August 2016 has been the harmless Comb Jelly. Although Comb Jellies have an appearance like jellyfish, they are not true jellyfish because they come from a completely different phylum called Ctenophora. 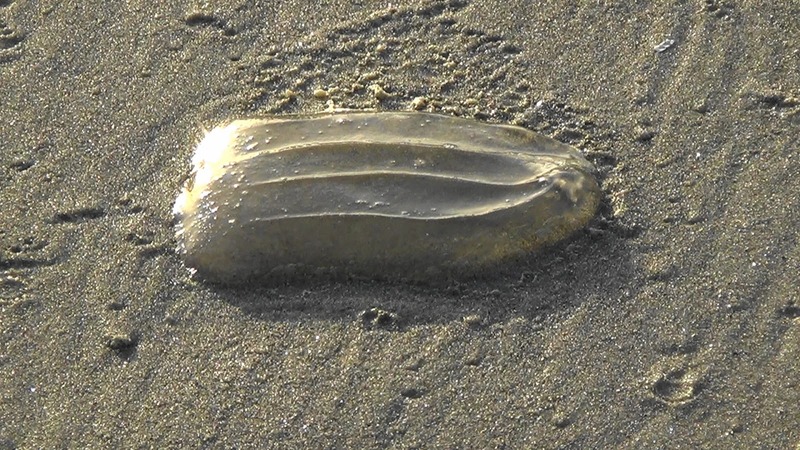 One aesthetic benefit of Comb Jellies to beachgoers is that they are bio-luminescent. So, if a heavy concentration of the Comb Jellies is present in nearby breaking surf at night time, the crashing waves will glow. While venomous jellyfish have not been spotted on the beach, ocean conditions can change at any time. The most up-to-date information on jellyfish conditions at the beach can be found from the nearest lifeguard. Purple flags flown at a lifeguard stand indicate dangerous marine life in the water, which may include jellyfish.